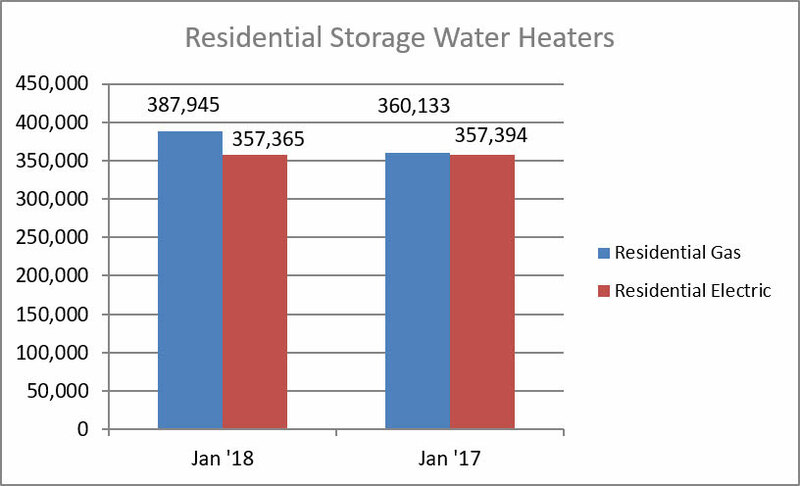 U.S. shipments of residential gas storage water heaters for January 2018 increased 7.7 percent to 387,945 units, up from 360,133 units shipped in January 2017. Residential electric storage water heater shipment saw a very slight decrease in January 2018 to 357,365 units, down from 357,394 units shipped in January 2017. Commercial gas storage water heater shipments increased 12.5 percent in January 2018 to 7,685 units, up from 6,832 units shipped in January 2017. 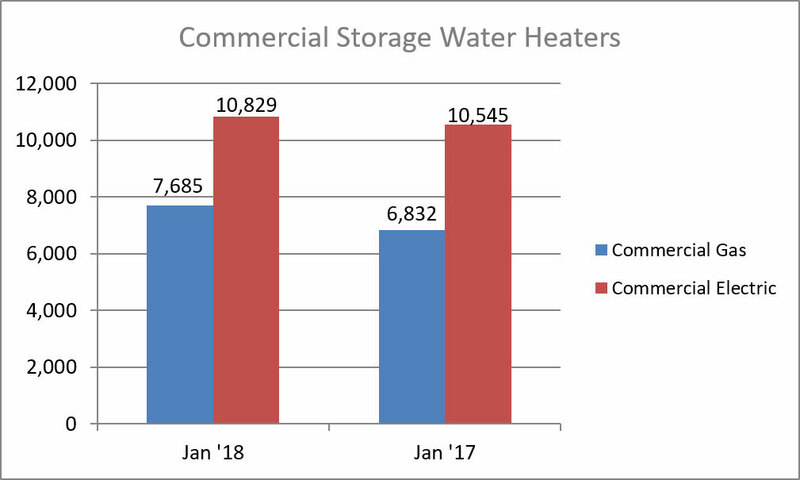 Commercial electric storage water heater shipments increased 2.7 percent in January 2018 to 10,829 units, up from 10,545 units shipped in January 2017. 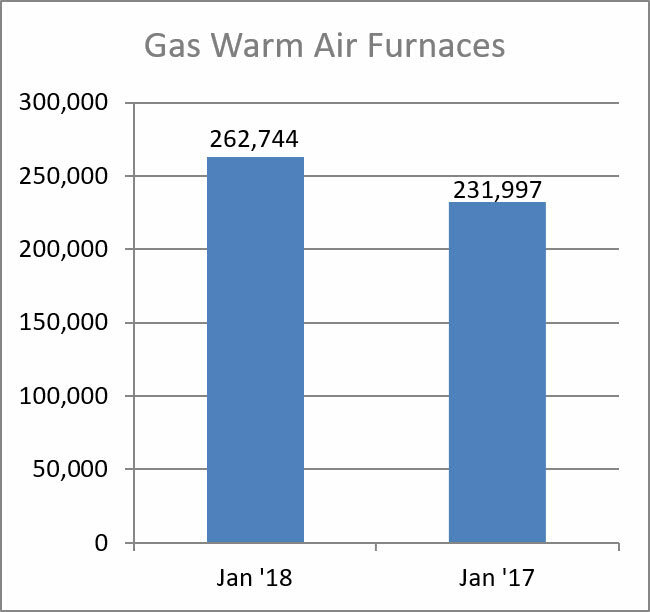 U.S. shipments of gas warm air furnaces for January 2018 increased 13.3 percent to 262,744 units, up from 231,997 units shipped in January 2017. 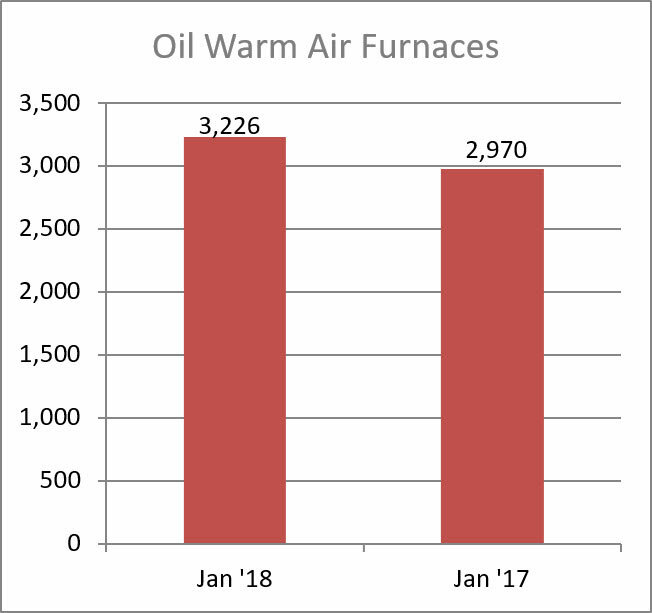 Oil warm air furnace shipments increased 8.6 percent to 3,226 units in January 2018, up from 2,970 units shipped in January 2017. 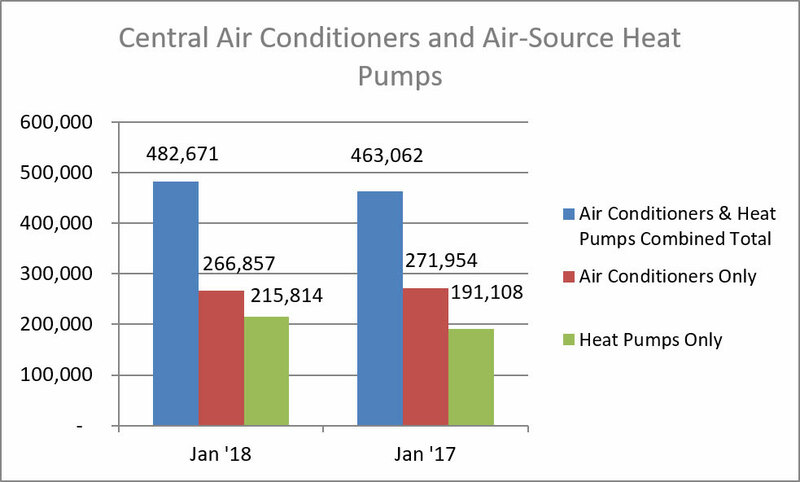 U.S. shipments of central air conditioners and air-source heat pumps totaled 482,671 units in January 2018, up 4.2 percent from 463,062 units shipped in January 2017. U.S. shipments of air conditioners decreased 1.9 percent to 266,857 units, down from 271,954 units shipped in January 2017. U.S. shipments of air-source heat pumps increased 12.9 percent to 215,814 units, up from 191,108 units shipped in January 2017.